Before it's too late to post about this, I want to share about my final August cover for my bullet journal. As you read from my post before, I confuse about how to make my August cover. I chose to draw Garuda but I thought it's too difficult for me. (｡>﹏<｡) So my friend, Mei, told me to draw something like Batik. Yeah. She inspired me. 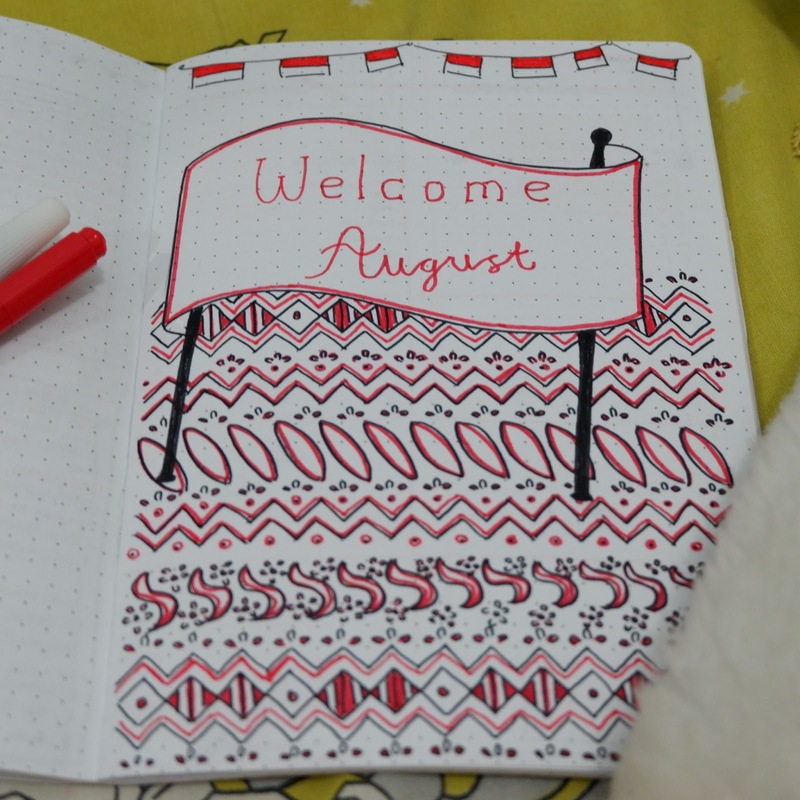 She told me that she just write August in her cover with red ink pen. Later she will decorate it with Indonesian theme because this month is our country independence day. First, I just do it like her. I just write 'Welcome August' with red ink marker and draw like a banner. I don't know what's next to draw in the empty space. So I just let it be like that. Later I draw Indonesian flag decorate on top page. And next, after a few days, I draw batik as a background. Here is the final cover of my August cover. Wah.. Akhirnya jadi juga, Pik..